You realize you have reached your limit and you need something to change for you, your child or a family member. Wellbeing is honestly the last thing you may be thinking of as you are struggling to get through the day. Therapy is a remarkable tool to get you, your child or a family member on the path to wellbeing. Harborside Wellbeing, PLLC, provides therapy and assessments for children, teens and adults. The practice offers individual, family, and couples therapy, as well as a variety of mental health seminars at the Harborside Wellbeing office and in the community. In addition, the practice offers early entry to kindergarten testing, evaluations for developmental delays (i.e. Autism, ADHD, intellectual disability) and concussion screenings. Please see the Services page for a list of problems addressed and seminars currently offered.  Harborside Wellbeing is run by Beatrice Tauber Prior, Psy.D. a Clinical Psychologist who specializes in child and neuropsychology. Dr. Prior’s professional guidance is frequently cited in magazines, newspapers and on-line blogs. Her expert advice has been cited in HuffPost, Saturday Evening Post, Woman's Day magazine, Reader's Digest, Mens Health, Shape magazine, Charlotte Observer, MSN.com, everymom.com, alzheimers.net, and many other well known publications. After years of working with families impacted by progressive illness (i.e. 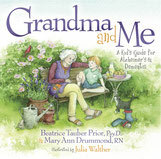 Parkinson’s disease, MS, Huntington’s disease, and the various forms of dementia) she wrote Grandma and Me: A Kid's Guide for Alzheimer's & Dementia (the first in a series of children’s books) that provides the tools to help children and all family members cope and find ways to maintain positive connections with those impacted by illness. Dr. Prior knows your time is limited and the search for a health professional can be overwhelming and stressful. She offers a free 15-minute phone consultation to give you the chance to ask questions and help you make up your mind about therapy, a clinical assessment and next steps. Feel free to go to the contact page or call us at 704.940.1822 and leave a phone number and best time to reach you. 9 Common Bedtime Habits That Could Be Ruining Your Whole Day! To provide access to quality mental and behavioral health promotion, screening, prevention, early intervention, and treatment services for newborns to end of life. Clients of all religions, socioeconomic, cultural backgrounds are welcome. Life is short. Even if you live until age 103, life is still short. If you are not living as your best self, life is too short to not change things. Harborside Wellbeing is here to help you make the changes you need to live your best life.